Volunteer for CoMo Girls Rock 2015! Our volunteer application is now open! If you are interested in being a part of this amazing summer camp for girls, please fill out the form below by Sunday May 24th, 2015 @ 11:59PM! Camp runs from June 8th-12th from 9am-5pm. If you have any questions about camp, email us at comogirlsrock@gmail.com. We are so excited to hear from you! Comments Off on Volunteer for CoMo Girls Rock 2015! 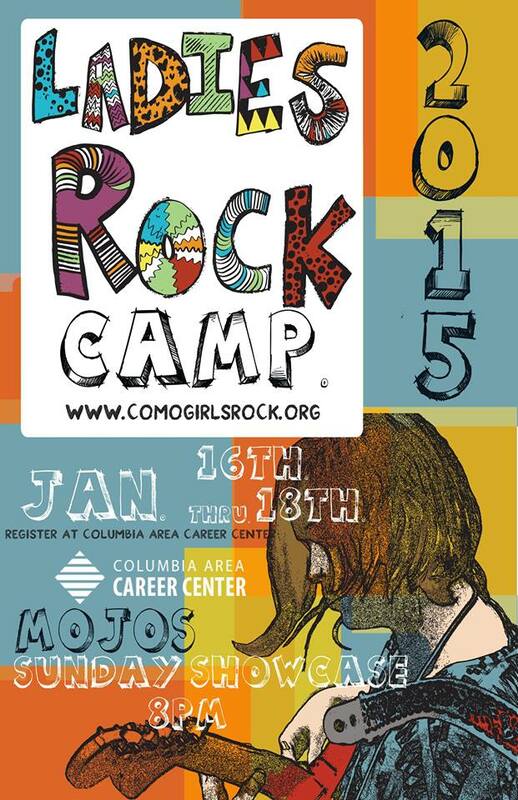 CoMo Girls Rock 2015 camp session is June 8-12 at the Columbia Area Career Center! Start registering now by filling out the following application. Spots will fill up quickly so don’t wait too long! We can’t wait to see everyone ready to rock on the first day of camp!! 80 days and counting!! We are also looking for some organized and dedicated individuals to help us with pre-camp planning. Check out more info here and join an organizing committee! Comments Off on Camper Registration!! 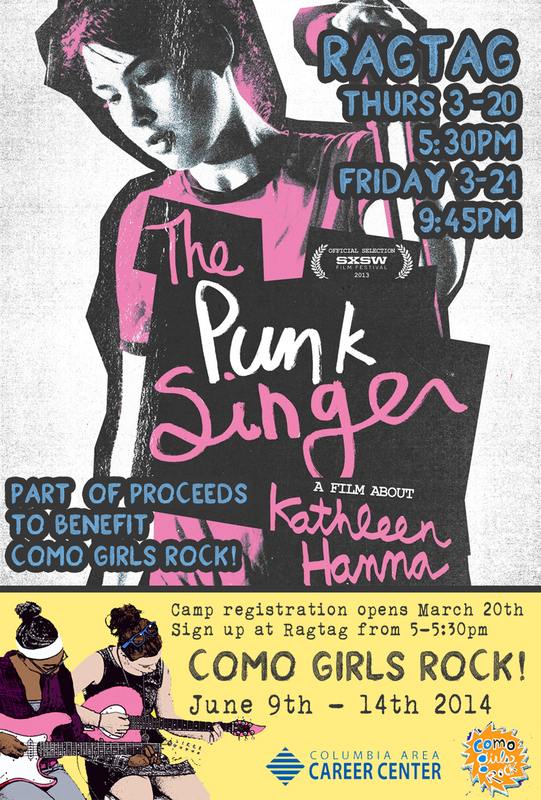 This week, Ragtag Cinema is showing The Punk Singer: A Film about Kathleen Hanna, and will donate a portion of the proceeds to CoMo Girls Rock!!! We are also excited to announce that camper registration for summer 2014 (June 9th-14th) will open on Thursday, March 20th at 5pm before the film. Come register in person from 5-530pm and meet with CoMo Girls Rock board members and volunteers and the camp coordinator from the Columbia Area Career Center! Camp registration will begin online at the Career Center’s website starting March 21st. Camp will fill up quickly so don’t wait! Camp is just around the corner (June 9th – 14th) and it’s time to start rounding up volunteers, aka the wonderful people who make camp possible! If you would like to volunteer, please fill out this form no later than April 1st. Comments Off on Volunteer for 2014 Camp!! !